Volunteer Firefighter Benefits: What is a VF 3 Form? Throughout New York, firefighters are rushing to help people who are in distress. They are providing lifesaving services to residents, putting out fires, and assisting other medical personnel who are providing care in people’s homes, commercial establishments or even on roadways. A firefighter company will have regular employees as well as volunteer firefighters who are on call to provide assistance when the emergency requires additional personnel. A volunteer firefighter will normally have regular employment at a full time or part-time job. While working at an emergency, firefighters can become injured. Even though a volunteer firefighter is not a full-time or part-time employee, they can also still receive workers’ compensation benefits to cover their medical costs and continued treatment expenses as well as lost wages. 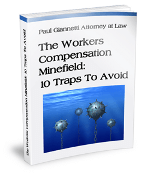 To receive the workers’ compensation benefits, they will need to file a VF 3 Form. What is a VF 3 Form? A VF 3 form is a lost wages/worker’s claim for benefits form that is specifically for volunteer firefighters operating in New York state. The form is filed with the Workers’ Compensation Board to inform them about the injury and lost wages. It is also filed with the political subdivision that is liable to provide benefits to the volunteer firefighter. This form ensures that the volunteer firefighter receives benefits if their injuries forces them from working their regular job as they lose their daily wages. When Should a VF 3 Form Be Filed? The VF 3 form is only filed by the volunteer firefighter. It is not filed by the employer at their regular job or by anyone else at the fire company they volunteer at. This form should be completed and filed within 2 years of when the injury occurred. If the form is filed within 90 days, then the volunteer firefighter does not have to file the VF 1 form: Notice to Political Subdivision of Volunteer Firefighter’s Injury or Death. By filling out the required information as accurately and completely as possible, it will help the Worker’s Compensation Board come to a decision quickly for their claim. Then the volunteer firefighter will receive their compensation benefits for their lost wages when they can’t work at their regular employment, and benefits for their medical expenses. While the process is straightforward for volunteer firefighters to receive lost wages and special benefits when they are injured when working for fire companies, sometimes there can be issues for them when they try to receive compensation. The volunteer firefighter may have to prove that the injury they received actually occurred when they were working on an emergency call. The information placed on the VF 3 form may have changed from the time when they first filed the document as the volunteer firefighter may need to update it. This issue can occur when the injuries that the firefighter received becomes worse as they may need additional medical care or hospital treatments. The volunteer firefighter may also believe that they filed the form within the two-year period, yet the Worker’s Compensation Board disagrees and claims the form was filed after the specified timeframe. If you are a volunteer firefighter who was injured while working for a fire company, reach out to the caring and compassionate Law Office of Paul Giannetti. We are a workers’ compensation attorney as we can help you file the right claim forms so you receive the special benefits that are available through the New York State Workers’ Compensation Board. Contact our office today for a consultation of your claim.